West Sound Breakfast Show presenter Tommy Jardine has announced he is to retire after 10 years in the slot. 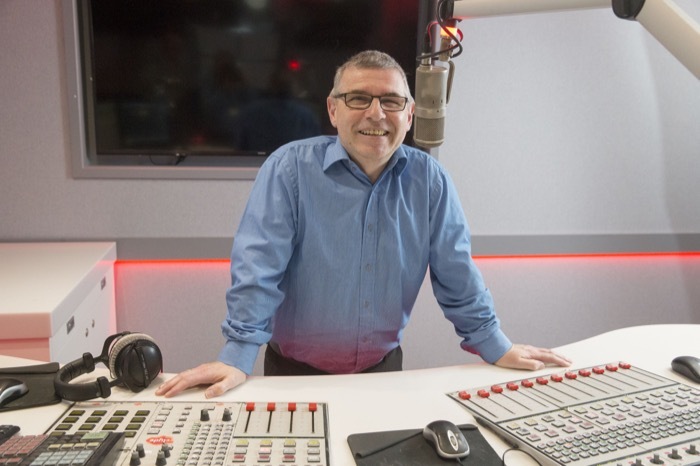 Kenny Campbell, currently presenting the Home Run from 3pm to 7pm on weekdays, takes over the breakfast show and Michael Smith takes the reins of Kenny’s show from the 1st of April. Graham Bryce, Group MD, Greatest Hits Radio Network said: “I would like to hugely thank Tommy for his incredible contribution to West Sound over the years. From raising huge amounts of money for our charity Cash for Kids to waking up Dumfries and Galloway for the past ten years, his enthusiasm, passion and connection to the community will be sorely missed.